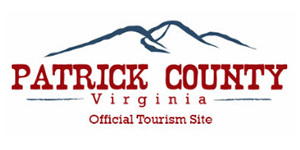 Five rivers rise out from Patrick County, Virginia, flowing into two major watersheds. Every river or stream in the county originates from within its borders. This dynamic creates wading opportunities for anglers that can’t be found everywhere. The Dan River begins northeast of the Meadows of Dan community on the crest of the Blue Ridge Mountains. Native brook trout can be found in the river north of Talbott Dam. First-class rainbow, brook, and brown trout fishing can be found in the six-mile section between Talbott Dam, locally called the “Upper Dam,” and Townes Reservoir. The river flows from Townes Dam, locally called the “Lower Dam,” around the Pinnacles of Dan, three mountain peaks that rise up from the Dan River Gorge, to the Pinnacles Powerhouse. 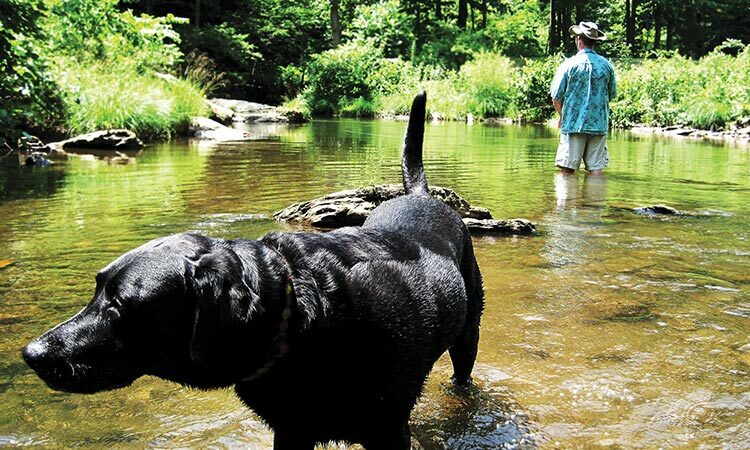 This section is a catch-and-release trout area and the section from the Powerhouse through Kibler Valley is a Category A put-and-take trout stream. The North and South Mayo River are frequently stocked with brown and rainbow trout. The Smith River’s headwaters also start in Patrick County and can be accessed at Iron Bridge Road. Also near Woolwine is Rock Castle Creek, which contains pickerel and sunfish. The Ararat River rises up near the Ararat community and contains native and rainbow trout. There are four lakes in Patrick County with great fishing. The 168-acre Fairy Stone Lake, home of Fairy Stone State Park, offers largemouth bass, crappie, sunfish, and bluegill. Outboard motor use is prohibited on this lake. Philpott Lake is in Patrick, Henry, and Franklin counties. Philpott offers excellent bass, walleye, crappie, and catfish opportunities. Talbott Dam and Townes Reservoir offer many angling possibilities from shore, as well as from hand-carried boats and canoes. Immerse yourself in local history, whether related to the early American republic, the Civil War, or NASCAR’s early roots. You can flatfoot to fiddle music or wind down at a winery. From the rugged outdoors to 5-star luxury, there is so much to discover in Patrick County.